What is clamscan.exe? Should I remove it? clamscan.exe is a legitimate executable file that belongs to ClamWin Antivirus. This program is a free antivirus, which is designed for Windows PCs. It offers basic protection against viruses, helps to avoid security vulnerabilities and prevents similar virus-related issues. Once installed on the system, it allows scheduling your scans, guarantees automatic virus database updates, acts as a standalone virus scanner, etc. 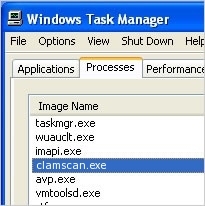 If you use ClamWin Antivirus, don't think about terminating clamscan.exe. It's a useful file that can be found in “C:\Program Files” folder. If located in other, not in “C:\Program Files” folder, clamscan.exe may be a malicious process. Hackers use the names of legitimate files for hiding their own viruses and preventing their removal. If clamscan.exe was involved to malicious activity, it can be used for launching certain parasite components or running a destructive payload. It can easily work in your PC's background and perform harmful actions. 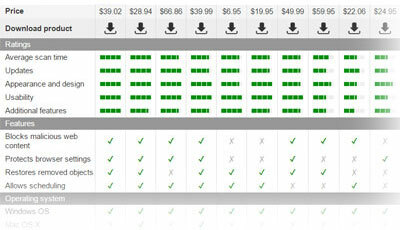 For examining this process thoroughly and eliminating it, we recommend using RegCure Pro. This entry was posted on 2014-06-04 at 07:07 and is filed under Application files, Files. You can quickly scan the QR code with your mobile device and have clamscan.exe manual removal instructions right in your pocket.